Africa University aspires to become a world class university for leadership development in Africa. The mission of Africa University is to provide quality education within a Pan-African context through which persons can acquire general and professional knowledge and skills, grow in spiritual maturity, develop sound moral values, ethics and leadership qualities. The development of Africa University is a consequence of the growth of United Methodism in Africa. The growth in membership and the emerging socio-economic and political needs in their countries led African bishops of The United Methodist Church to call on their church to invest in higher education provision in Africa. In 1980s, Bishop Arthur Kulah of Liberia and Bishop Emilio J. M. de Carvalho of Angola took the lead in advocating for "a university for all of Africa." 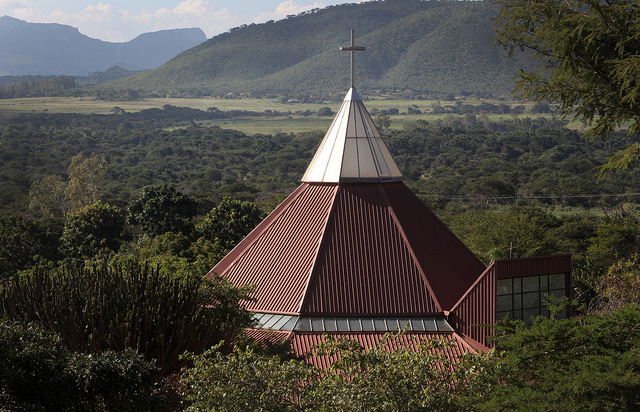 Their efforts generated a positive response within The United Methodist Church worldwide and in 1992, Africa University, in Mutare, Zimbabwe, was chartered.